Mortgages aren't the only way to buy a home. A land contract, also known as a contract for deed, is one way of buying property. With a land contract, the seller finances the deal, so you don’t have to go through a mortgage company. Land contracts are one way to purchase a home without a lot of hassle. But land contracts have both advantages and disadvantages over a traditional mortgage. Knowing the differences between the two can help you choose the financing option that’s best for you. Qualifying for a home mortgage can be difficult in times of tight credit. 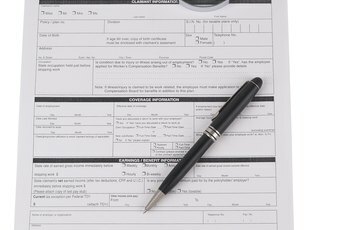 If you have a low credit score or a bankruptcy or other bad credit history, if you’re unemployed or haven’t established a credit history, qualifying for a mortgage may be impossible. An owner-financed land contract can allow you to purchase a home even with a poor credit history, if the seller is willing to work with you. With a land contract, you won’t pay loan origination fees and you’ll have very few closing costs. In some cases, you may not even have to make a down payment. This makes land contracts easy for people with lower incomes to qualify for the loan. 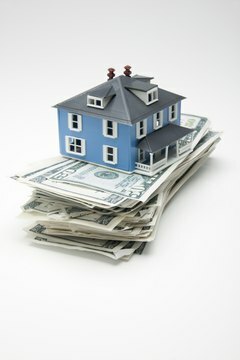 Traditional mortgages, on the other hand, require closing costs that averages $3,024 in 2010. If you miss a mortgage payment, your lender will try to work with you to make up the payment. You continue to live in the home, often for months, and may stop foreclosure by making the payments you owe. With a contract for deed, your seller may resume possession of the property quickly if you miss even one payment. Depending on local laws and the language of your contract, you could lose everything you’ve put into the property up to this point, with no recourse for regaining possession of the home, even if you make up the late payment. With a mortgage, you build equity in the property as you pay down the loan. You can use this equity to secure a line of credit and use this credit to pay off other debt or make improvements on the home. If you decide you don’t want to live in the home any longer, you can sell the home and take the difference between the selling price and the amount owed on the loan and use that money to invest in a new home. With a land contract, you build no equity and you can’t borrow against the property. The seller retains title to the property until it’s completely paid for, and can even borrow against the property. You don’t have the right to sell the property to someone else because, even though you’re responsible for paying taxes and insurance on the property, you don’t really own it. 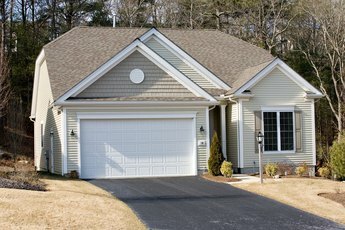 What Are My Options If I Have Bad Credit but Would Like to Own a Home?